Home » Finalist – Gift of the Year 2018! Wonderful news! 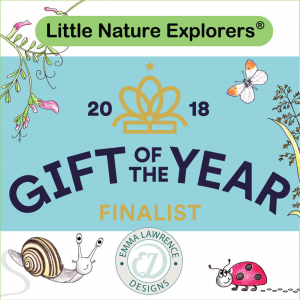 The Little Nature Explorers(R) range of gifts has reached the final of Gift of the Year 2018 in the Children’s Gift category. Such an achievement and we are so thrilled!